In separate Legal Pulse posts last February and April, we noted developments in a private antitrust class action lawsuit, In re: High-Tech Employee Antitrust Suit. The suit piggybacked on a settlement the U.S. Department of Justice had reached with a number of companies who had entered into an agreement to avoid “poaching” each other’s engineering employees. 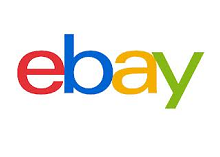 While that private suit advances towards trial, reports this past Friday indicated that DOJ and the California Attorney General have filed complaints against eBay for having an anti-poaching agreement with Intuit. Intuit was not named as a party to the complaints, according to DOJ, because it was one of the five companies to enter into the settlement in 2011. According to a Reuters story, the eBay complaint arose out of the earlier investigation which led to charges against Intuit. One would expect a follow-on class action lawsuit against eBay (whose path to trial has been made easier by the April ruling in In re: High-Tech Employee) to be filed any day.